Meagan Sylvester is a published author of over fifteen book chapters and journal articles and is a well known public academic in her native Trinidad and Tobago where she uses both traditional (television, print and radio) and social media platforms to engage discussions on the Calypso and Soca musical artforms. Her research topics of interest are Music and National Identity in Calypso and Soca, Music of Diasporic Carnivals, Narratives of Resistance in Calypso and Ragga Soca music, Steelpan and kaisoJazz musical identities, Gender and Identity in Calypso and Soca music and Music and Human Rights in the Americas. In pursuit of fulfilling her academic goals, she has presented academic papers and hosted scholarly workshops in several spaces across the globe including Europe, Latin America, South America, the United States and numerous islands in the Caribbean. 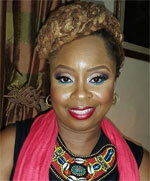 She has recently completed a Ph.D. in the Sociology of Music at The University of the West Indies, St. Augustine Campus, Trinidad and Tobago and holds memberships in international professional organizations which include the Society for Ethnomusicology, the International Association of the Study for Popular Music, Caribbean Studies Association and the Association of Black Sociologists. Locally, she is a board member of the Trinbago Unified Calypsonians Organisation – TUCO and is the Chair of the Education and Research Committee. Regionally, she is an Executive board member of the Caribbean Studies Association – CSA. She holds two positions on the CSA board, namely Chair, Newsletter Committee and Co-Chair of the Digital Media Network Committee. As part of her professional development portfolio, she is a Music Sociologist with a consultancy practice in which she provides her clients with insight into the sociological framing of Trinbagonian society using the lens of Calypso and Soca as the main units of analysis. Dana I. Muniz Pacheco is a Puerto Rican woman and PhD student in cultural anthropology at Temple University in Philadelphia. Her dissertation research examines human rights, access to education, and citizenship within marginalized and immigrant communities in the Dominican Republic. Before moving to the US, she earned her BA at the University of Puerto Rico, Rio Piedras Campus, with a major in Archaeology and Anthropology and a minor in Latin American and Caribbean History. 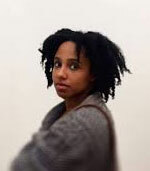 As a Caribbean scholar formed in the social sciences and humanities, her research interests focus on the social, political and economic connections within Caribbean countries and their diasporas in the US, critical race theory, and migration and diasporic studies within and of the Caribbean. Beyond her doctoral research, she is documenting and curating a blog with oral histories, media, and photography from Puerto Rico after the hurricane Maria (2017) and how the diaspora experienced it, which she expects to open as a work-in-progress for collaborations from the people who want to tell their stories later this year. Her long-term goals include to work in higher education to increase inclusion and retention as well as access to education to marginalized and immigrant communities in the US and expanding her research to include different communities in the Caribbean. From her own experience in the diaspora, she hopes to bridge the gap for immigrants within conversations about minorities in the US. She is a passionate reader and writer. 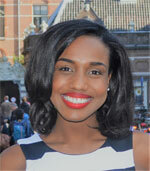 Nicole Sanches is a PhD-candidate in Cultural Anthropology at Utrecht University. She earned her Masters in Cultural Anthropology from the University of Amsterdam in 2012, with a thesis on the experiences and perspectives of local activists within a food deprived area of Brooklyn, New York City. She independently worked on ethnographic projects that explore perspectives on life and identity among rap artists in Amsterdam, and the future dreams of young athletes in challenging inner city neighborhoods. Her current research project explores expressions of belonging in a time of educational changes, constitutional changes and a time where people’s political and cultural rights are strongly intertwined with ideas of national belonging. The research seeks to describe how young people from Sint Eustatius (Caribbean Netherlands) are ‘learning the nation,’ within the project of the Kingdom of the Netherlands. Through this, it reflects on the relational aspect of human life found in and around spaces of education as it connects to questions of belonging and multiplicity. The fieldwork is multi-sited and builds on sensory and multi-medial methods to trace the educational trajectory of Statian students from primary school in the Caribbean Netherlands towards migration and settling in the European Netherlands. In this research she learns from and works together with Statian youth, on and off the island, to reflect on what it means to be young and Statian today, and tomorrow. Her research interests include citizenship, belonging, education, learning and migration. Melissa Koeiman is a Ph.D-Candidate at the Behavioural Science Institute of the Radboud University in The Netherlands. There she is executing a longitudinal study in the department of Learning and Plasticity. Her study is on the development of bilingualism, literacy and school success on the Dutch Caribbean islands of Aruba, Bonaire and Curaçao. In this study she looks at how the personal variation of the child in ‘reading to learn’ develops from grade 4 to grade 6 as the result of the instruction-order (Papiamentu to Dutch or Dutch to Papiamentu). She also looks at how the student,-family- and school characteristics influence the reading development of the child. Melissa was born on Curacao in 1993. Sinds her young years she had an eye for differences between people and saw particular patterns in their behaviour. Because she wanted to understand this dynamic better she went on after highschool to study Sociology at the University of Amsterdam. Real soon she realized she has a passion for inequality and education. Ms. Koeiman finished her Bachelors of Science (B.Sc.) in Sociology with a focus on education, inequality and school success. She also possesses a Master’s degree (M.Sc.) in Sociology and a Master’s degree (Ms.c.) in Educational Sciences. Ms. Koeiman is aware of the powerful role that the education system plays in a society and she is also aware that it can be used very well to fight inequality. Following this statement, her research interests are in the area of: inequality, stratification, diversity in education, cultural capital, school success and the influence of the home environment on education. Chenzira Davis Kahina is a cultural ethnographer, educator, artist, naturopathic therapist, and ordained priestess. She completed studies in English, Education, Communications, Educational Technology, and Natural Health Counseling at Rutgers University (B.A. ), Pepperdine University (M.S. ), University of California San Diego (PhD Fellow), and the Natural Health Institute (Ph.D.) respectively. Davis Kahina is an author of multiple essays, commentaries, and comprehensive multicultural projects inclusive of a poetry collection Listening to Ancestral Wisdom: Sacred Conch Shell Inspirations (2004). She’s the co-founder of Per Ankh (House of Life)—an NGO with UN ECOSOC Special Consultative Status supporting Culture, Health, Arts, Technology and Education for Life, Inspiration, Freedom and Education (CHATS4LIFE©). 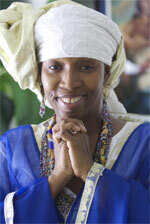 In addition to her Caribbean Studies Association (CSA) membership, Davis Kahina serves several international organizations as interim executive council representative of the Caribbean Pan African Network (CPAN); artistic director of Per Ankh Bamboula Drummers and Dancers; board representative of God’s House International (GHI); executive council member of the Global Breadfruit Heritage Council (GBHC); and others. Chenzira Davis Kahina is a Visiting Assistant Professor of Communications and the director of the Virgin Islands Caribbean Cultural Center (VICCC) within the College of Liberal Arts and Social Sciences at the University of the Virgin Islands (UVI). Jennifer Boum Make is a PhD candidate in Francophone literatures in the Department of French and Italian at the University of Pittsburgh. Boum Make’s research focuses on the relationship between representations of hospitality and encounters with different forms of alterity for the articulation of new forms of associations in contemporary Francophone spaces. Her broad areas of interest include: Francophone postcolonial theory; Caribbean, Pacific and Mediterranean Studies; questions of mobility and circulation of people and cultures. 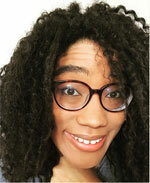 Keisha Wiel is a PhD student in the Department of Anthropology at Temple University with a concentration in linguistic anthropology. She holds a M.A. from the University of Central Florida in Anthropology as well as a B.A. in Anthropology from the University of North Florida. She received a Future Faculty Fellowship at Temple University, which allowed her to pursue her studies. Her research interests primarily focus on the socialization of language ideologies in education and how those ideologies are presented and performed on social media. Specifically, she researches how children are socialized into ideologies about Papiamento/u and Dutch in secondary education in Aruba and Curaçao and in turn observes how those ideologies get discussed, debated, and practiced on Facebook. Through this, she will examine how notions of identity are informed by these ideologies about language on the islands. Wiel has also served as the Vice President of the Anthropology Graduate Student Association at Temple and has been an active member of CSA since she first presented in Curaçao in 2011. David Tenorio is Assistant Professor of Spanish in the Department of Hispanic Languages and Literatures at the University of Pittsburgh. His research is at the intersection of sexuality and gender studies, epistemologies form the Global South, cultural studies, and Latin American and Caribbean literature and culture. Moreover, David has been involved in various digital humanities projects (sexualidadescampesinas.ucdavis.edu; queerutopias.org), and has served as Managing Editor of UCD’s Interdisciplinary Journal on Latin American Studies, Brújula (brujula.ucdavis.edu). He has been the recipient of various grants and awards, including the Bejel-Gibbs Graduate Award, the Humanities Program Fellowship, the Humanities Arts & Cultural Studies Dean’s Fellowship, the University of California CUBA Initiative Research Grant, the Mellon Public Scholar Fellowship, the Professors for the Future Program Fellowship, the University of California Institute for Mexico and the United States Research Grant, and the University of Miami’s Cuban Heritage Collection Conference Award. Currently, he serves as an Editorial Team Member for the Newsletter of the Caribbean Studies Association.